This year has been particularly notable in the use of visuals as a brand communication piece on social networks. Be it for increasing brand preference or building affinity with millennials, for most brands churning out a regular visual on social media is the equivalent of ‘going digital.’ And, creative digital agencies aren’t complaining either. The challenge, however, is to stand out from the clutter. Rake in the maximum likes, retweets, favourites, shares and possibly silent admiration of the new age consumer. With more consumers to connect with in this ever-on content loaded digital times, coupled with the decreasing organic social media reach, it has become imperative to not miss out on the trending news of the day. 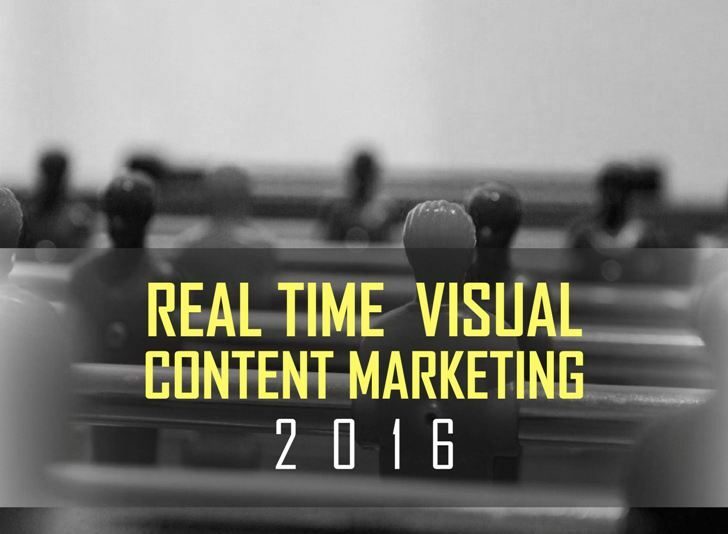 Listed here, are the interesting examples of ‘real time visual content marketing’ in 2016 that leveraged the current social buzz, became a part of consumer conversations and established a brand connect in the process. India’s largest dairy brand and one of the sponsor of the Olympic India contingent extended a hand of encouragement to boost our athletes at Rio 2016. Staying true to its tradition of rolling out witty posters, Amul’s utterly butterly girl captured the essence of the games in pun-filled visuals. Below are the ones paying a tribute to gymnast Dipa Karmakar’s qualification for the Olympics and PV Sindhu’s Silver medal win at Badminton. The Amul girl showed her support for demonetization too with this witty visual. The day Juno entered Jupiter, more than NASA’s win, it became a realtime win for a few brands who picked up the buzz like Flipkart did in this witty creative. When the superhero movie Deadpool became the rage on the social web, Flipkart was quick with this one. When the underdogs went on to win the English Premier League title this May with all the players putting up a stunning performance, Flipkart paid a smart tribute to the Foxes. Leonardo Di Caprio made history at this year’s academy awards when he finally won an Oscar for Best Actor in ‘The Revenant.’ The news was at the top of worldwide buzz; Flipkart just hit the nail with this. When our gymnast, Dipa Karmakar became the first Indian to enter the vault finals in the Olympics, the trend on social media captured a proud moment for all Indians. Flipkart was quick with its tribute visual. To combat Delhi’s traffic and pollution crisis, CM Kejriwal had implemented the ‘Odd-Even policy’ last year, which quickly became the topic of debate. The quirky mouth-freshening gum came up with this visual representation of the policy. Pokemon Go became a worldwide phenomenon in the world of mobile gaming this July, with record downloads surpassing major networks. While players went hunting for adorable monsters, Mentos rolled out the Mentosaur. A very popular dialogue from the movie Devdas became a smart timely visual for food ordering app, Faasos, on the occasion of the movie’s 14th anniversary. The coffee chain shared adorable gifs featuring coffee beans during Rio, this gif rolled out before PV Sindhu’s final game is a cute one capturing the anticipation. Lenovo India managed to seamlessly match David Bowie’s ever evolving avatar with the brand’s rebranded philosophy – Never stand still, when the singer, songwriter, actor and record producer passed away in January. When Indians were (and still are) severely inconvenienced by the govt’s surprise demonetization move in the late evening of November 8, the cookie with the smile reiterated how smiles are free. Kit Kat never fails to place a Kit Kat in its visual stories. This is a nice one by the wafer chocolate bar wherein it stood with Dipa Karmakar despite her fourth place finish at the Olympics finals. When the old 500-rupee note became obsolete, Kit Kat smartly weaved in its connection with a ‘break’. When a NASA spacecraft travelled all alone to Jupiter, Yatra was quick to inspire its traveller community. The telco also joined in the nation’s pride and celebrated Sindhu’s win, while weaving in its brand campaign idea – Be Super. The mango drink reveled in the spirit of demonetization that had swept the country. When the DC comics anti hero team movie became a rage, Zomato was quick to roll out its own squad team. Zomato truly captured the joyous spirit on the web following Leonardo’s Oscar win. This year, the Panama Papers sought to leak names of offshore stealth account holders, becoming a topic of nationwide debate. Zomato quickly played to the buzz. The ice cream brand found a witty connect among Leonardo’s Oscar win, love and ice cream. The condom maker certainly scored (pun intended) with this public interest ad aimed to leverage the demonetization scenario in the country. The King of Good Times celebrated Leonardo’s win in this smart visual. When youngsters were gripped with Pokemon fever, the dating app urged them to stop chasing imaginary creatures and instead get on Woo! PV Sindhu’s silver medal was indeed gold for us, nicely captured by the retail jewellery brand. The cab and auto hailing app showcased its various rides on offer weaving in the Pokemon Go rage. When the superhero movie ‘Batman V Superman: Dawn of Justice,’ rolled out, the world was abuzz with choosing sides. For milk flavouring straw brand Sipahh, this was also about taking sides. The maker of security solutions found a cool brand connect to catch thugs, using Pokémon Go to lure them. When outdoors was more appealing to go catch Pokemon, the free classifieds site found the perfect visual to promote its QuikrDoorstep service. The channel dedicated to bond us to the animal world, brilliantly connected Pokemania with pet lovers. The home and car fragrances maker banked on the demonetization wave, nice rendition of the concept of ‘change’ and the pun used. It also made an interesting Pokemon pitch for its online shopping link. Unlike #Pokemon, it’s easy to catch us! We’re available here. The mattress maker really got witty in this visual capturing the aftermath of demonetization. Two kinds of people won't get #GoodSleep tonight. There’s a Kurlemon on your bed, if only you can catch him. Parking lots are favourite spots for Pokemon monsters. the automaker made a fine connect in this creative. The cab hailing company made a smart Pokemon pitch for its carpool services. The coffee brand is happy to catch the most prized Pokemon. Demonetization caught all black money hoarders unawares, the coffee maker caught the spirit in this creative. Trending topics on the social web, if capitalized upon, can be a big win. For forward-thinking brands looking to connect with Gen-Y, these real time connections made via a quick piece of visual content are often the only way to stand out from the clutter. Brand managers need to be on their toes along with the design team to catch the trend and make it the brand’s big moment. We are happy to have witnessed 2016’s big moments as well as the growing number of Indian brands that have been quick with real time content this year.